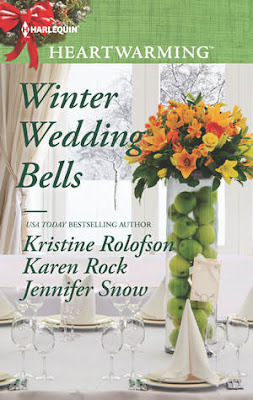 Winter Wedding Bells has three different romances all connected with each other. This anthology has stories written by three authors but one thing is common and that is the entertainment factor. I thoroughly enjoyed the characters of all these stories who are connected to each other and yet have their own story to tell. Thoughtfully developed, admirably conveyed, I enjoyed this book and spent a memorable time reading it. Loved and stayed engrossed it right till the end, I recommend this book to all lovers of holiday romances. This book made me feel all Christmassy right in summer and it was like a breath of cool winter breeze in this hot weather. 4.5 out of 5 to it. I know I will be re-reading this book again and checking out the other Harlequin Heartwarming books.